Jason and his brother, Jeremy, founded Athletic Jaier FC in 2003. Since then they have served as the Training Directors. During this time they developed and instituted a soccer program based on a curriculum of player development. It is one of the few programs who maintain the integrity of their curriculum by not just saying they are developing players but also putting it into action. Winning is important but results are secondary to the needs of the player. If you focus on player development, wins will take care of themselves. The focus on player development has helped to produce 28 college players who have participated at every level from NCAA DI to NCAA DIII and ODP State & Regional Players. 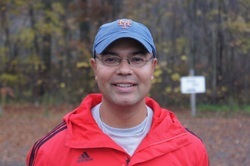 Jason is also the Co-Head Coach of the Men’s and Women’s Varsity Soccer Programs at Lake Michigan College. These are two new programs that will begin competition during the 2013 Season. From 2008 – 2012 Jason was the Men’s Assistant Soccer Coach at Davenport University located in Grand Rapids, Michigan. During the 2010 season he helped Davenport win the WHAC League and Tournament Conference Championships while also helping them gain qualification for NAIA National Tournament. During his time at Davenport he helped develop 2 All-Americans and 16 All-Conference Players. Jason has also coached club teams for the Kalamazoo Kingdom Youth Soccer Club and worked various soccer camps such as Calvin College and Illinois State University. Kalamazoo Kingdom & Grand Rapids Explosion of the PDL.